After a nuclear war has made most of the planet uninhabitable, a group of scientists called The Ten have taken refuge in a giant underground facility. They are genetically engineering future generations, creating life void of anything except productivity. Emotions have been removed to prevent questioning or strife, or even love. But Thalli is an anomaly. She has emotions, and recognizes at a young age that this sets her apart from the others. Realizing that it would mean her annihilation if the monitors noticed that she is different, Thalli becomes adept at hiding her feelings and acting the part of the obedient student, training to be a musician. Music boosts productivity for those who hear it, and that will be Thalli's role once their generation has matured. All of Thalli's years of acting as expected and hiding her curiosity are undone when the monitors bring her an ancient piece of music that has been preserved from the world before. As Thalli plays Jesu, Joy of Man's Desiring, she realizes that this piece of music somehow holds answers to some of her deepest questions. Her display of rapturous joy and wonder calls for her removal from the pod, and Thalli is taken to the scientist's area while knowing her annihilation will surely come soon. If only she understood what the answers in the music meant. To Thalli's surprise, the scientists wish to run tests on her before ending her life. As the days of questions and simulations pass, Thalli meets a very old man who is also housed in the isolation wing. John remembers life above ground. He is more than happy to share with Thalli about the answers in the music, about the Designer who created things long before the scientists took over. He tells her of love and family and life. He teaches her that she has a part in the Designer's plans that are beyond anything The Ten might have thought up for her. 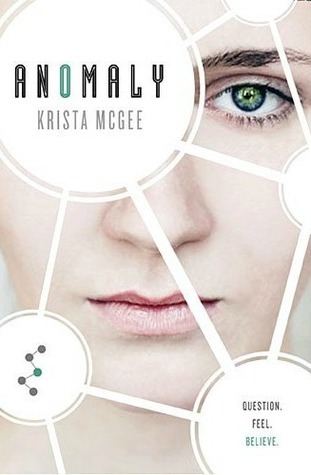 The plot of "Anomaly" is full of twists and turns. Just when you think you understand what is going on, everything changes. What is real? Will Thalli prove herself so useful that the scientists will not annihilate her? One young scientist was once part of Thalli's pod and he's fighting for his childhood friend, even scheming behind the backs of the others for ways to save her life. Can they stay one step ahead, or will the predetermined outcome be victorious at last? 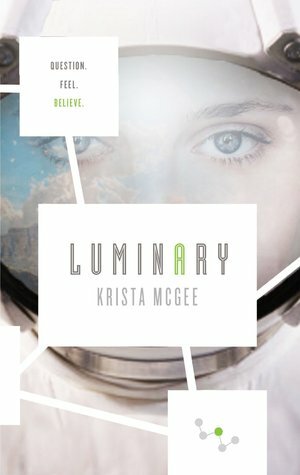 I love Krista McGee's books! This one was well-written and intriguing on every level. It left me hungry for more, and so thankful that I have known about our Designer God my whole life. His plans for us really are beyond anything we can imagine. Our emotions and feelings are gifts from Him, and in the center of our beings is a deep need to know Him. Where Krista McGee will take the sequel to this novel is a mystery, but July 2014 can't get here fast enough for its release! This book was provided for me by LitFuse in exchange for this honest review. All opinions are my own. Below is the information on how you can enter to win an iPad Mini and a chance to read "Anomaly" for yourself! Here's a story for all the spunky girls out there! Kara McKormick, Addy's roommate from "First Date," is pursuing her career in entertainment. When she is selected to take part in a month-long audition for a new teen version of "Saturday Night Light," Kara leaves her home in NYC for Orlando, FL, to live with 9 other hopeful young ladies and their unusual housemother, Flora. There are a number of things the girls don't know about the upcoming show, including the identity of the celebrity who is behind it, and the real surprise is that these auditions are more about their character than their talent. Chad Beacon has had success with his music career, but now his real dream of doing live television is about to happen. But Chad is still 17 and his parents, who are naturally protective of their son, are insisting that his co-star be a Christian. They hatch the plan to have their housekeeper, Flora, oversee a selection of the nation's most talented young actresses so she can determine which one would be best for the role. Just as the girls can't know Chad is the star, Chad is not allowed to know the names of the 10 girls until Flora makes her choice. There's a couple problems, though. Through mutual friends before the auditions started, Chad met Kara and has been unable to get her out of his mind. Her vibrancy, her long auburn hair, the way she treated him like a normal guy; everything about her has captivated him. But Kara is not a Christian. Chad is dedicated to praying for her and hoping their paths might cross again someday. Housemother Flora completely steals every scene she's in. From her multiple shades of hair to her outrageous wardrobe choices, Flora is someone you won't be forgetting! In this tale loosely based on the Biblical story of Isaac & Rebecca, Kara finds that while she may be pursuing her dreams, God is pursuing her for an adventure greater than any she's ever imagined. I loved Kara and her very real range of emotions, from her abundant excitement to her occasional fears and feelings of inadequacy. I might not be as outgoing to Kara, but she was very relatable and someone I'd love to be friends with, if fiction characters could jump off the pages! I'd recommend this story for anyone looking for a fun read that also incorporates the importance of parental guidance, Christian friends, and letting God lead in our lives. I have just recently been introduced to Krista McGee's books, but I am decidedly a fan! 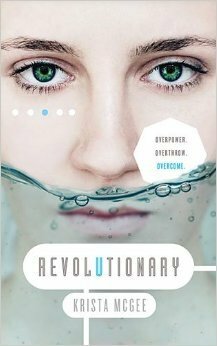 Her characters are well-developed and I love that in every book she's written so far she has taken a Biblical story and presented it in a modern setting. They're not straight-up re-tellings, but it's not hard to see where she draws the inspiration from. In "Right Where I Belong" it was the story of Ruth, and in "First Date" it's the book of Esther on display. Addy Davidson is a normal high school sophomore. She likes routine and order. When she suddenly discovers she's going to be on a reality television show, she's distraught and resists the notion. Her school was one of 100 in the nation selected to send one girl to compete on a TV show called "Book of Love," with the premise that these 100 girls will compete and be chosen as a date for the President's son's senior prom. Addy doesn't want to be famous. She just wants to finish high school and get into an Ivy League college. But she's not really given a choice, and she leaves the next morning for the set in Tennessee. It seems like every other girl in the competition has aspirations. Addy just wants to be kicked off the show as soon as possible so she can go home. When she first meets Jonathon Jackson, the President's son, she makes quite an impression, and not necessarily a good one at that! Having her moment of frustration caught on camera, Addy immediately receives media attention, which infuriates the other girls. They are sure Addy also has a hidden agenda, and nothing she says can convince them otherwise. As well as the cattiness of dozens of teenage girls, Addy must deal with the hostility of the show's host, Hank. He's all charm for the cameras, but once they are turned off he is demanding and rude. He's far more concerned with furthering his own career than with helping anyone else. If there's one bright spot, it's Addy's roommate, Kara. The friendship of the spunky redhead is just what Addy needs. It's not long before Addy discovers that Jonathon might not be so bad himself. but she can't tell whether he is also putting on a false front for the cameras. I loved how Addy was portrayed. For the most part she's a quiet thinker, and even in the middle of conversations sometimes she'd drift off into her thoughts. An introvert! Her struggles with how to respond to criticism and outright mean-spiritedness seemed genuine and something a lot of teenagers could relate to. Maybe not everyone gets the chance to be on TV, but all of our lives are on display in one way or another. The question is if we'll choose to do our best to honor God no matter the situation, or let pressure and strife change us into people we wouldn't want to recognize as ourselves. A great story for young women today!